When you come to Bermuda, come hungry. All photos courtesy Bermuda Tourism Authority. Presented in collaboration with our partners at Bermuda Tourism Authority. You’re in Bermuda, and you’re hungry. Thirsty, too, now that you mention it. That’s a good thing, because this is an island that knows how to quench the appetites around the clock. Its rich food culture is the result of an eclectic swirl of culinary influences from the English, Portuguese, Caribbean, Native American, and African people who have called this Atlantic island home. They left quite a menu. Here’s what you should order. 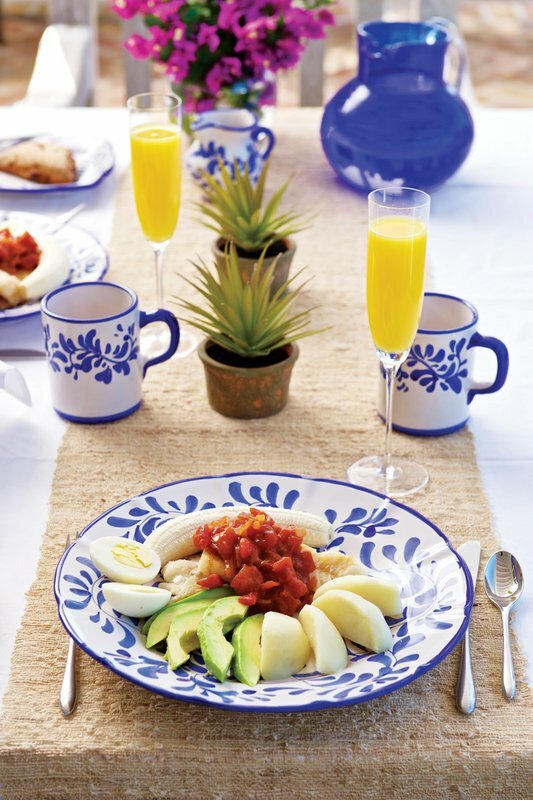 The platter of salt cod, boiled egg, boiled potato, avocado, tomato salsa, banana, and Johnny bread is the classic Sunday morning meal — and also the preferred hangover cure after a night of hard drinking. (More on Gosling’s rum in a bit.) As it turns out, Bermuda played a key role in the history of salt cod: Until the Americans took over the salt-mining industry, the British controlled it, baking salt out of seawater in large salt pans in Turks and Caicos, then shipping it via Bermuda to the East Coast and Canada, where they would trade it for cod. The Brits then took the cod back to Bermuda, preserving it in salt for the return trip to England. And a sensation was born. A prime example of Bermuda's classic sweet and savory flavor combination. 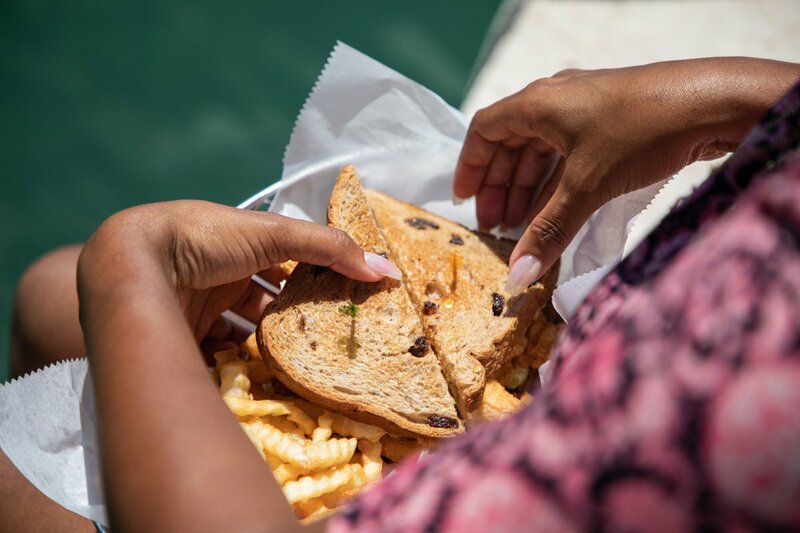 Locals may disagree about the proper way to order it, but the core ingredients are fried fish (typically wahoo, though grouper and turbot are also popular), hot sauce, tartar sauce, and sweet sliced raisin bread. Then comes the debate: Coleslaw stuffed inside, with a sliced cheese option? Or a simple lettuce and tomato combo? Regardless, the sandwich will taste best eaten on a beach with a can of Barritt's Ginger Beer (the soda of choice since 1874) or a Gosling's Dark 'n’ Stormy®. A tomato-based broth with chunks of fish — just no shellfish! Locals like to add a splash (or two) of Outerbridge’s Original Sherry Pepper Sauce and Gosling's Black Seal Rum. Chef Marcus Samuelsson put his spin on it at Marcus’, reimagining the soup as a tasty croquette. 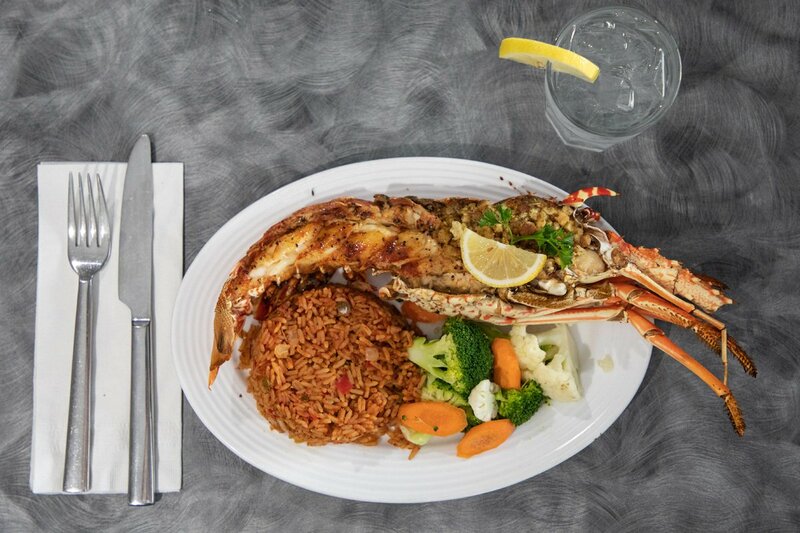 Typically served on the half shell, Spiny Bermudian Lobster don’t have claws (the meat is in the tail), and are only available between September and March. Go for a sweet and savory breadcrumb stuffing if you like, but don’t miss the sides: mac and cheese, fries or mashed potatoes, and peas and rice (the national side dish of black-eyed peas with rice that should not be confused with rice and peas, the Jamaican dish made with kidney beans and rice). Pawpaw are green unripened papayas that grow wild all over. Cut up and boiled till tender, then baked with cheese, Bermuda onions, and tomatoes, with a beef option, the casserole resembles scalloped potatoes and is just as addictive. Typically eaten only on holidays around Christmas and Easter, the dish is not available in restaurants. It’s a real-deal, grandma’s-cooking special. Originally a Christmas dish, the pie is now eaten year-round and is even available at supermarket buffets for lunch. The savory cake made of cassava with chicken inside, it may sound a little weird, but it’s totally Bermudian. They love their sweet and savory. Inspired? Here's a recipe. The national drink of Bermuda is made from Gosling's Black Seal Rum, Gosling's Gold Rum, pineapple juice, orange juice, Grenadine or Bermuda Falernum, and Angostura bitters. Sweet! 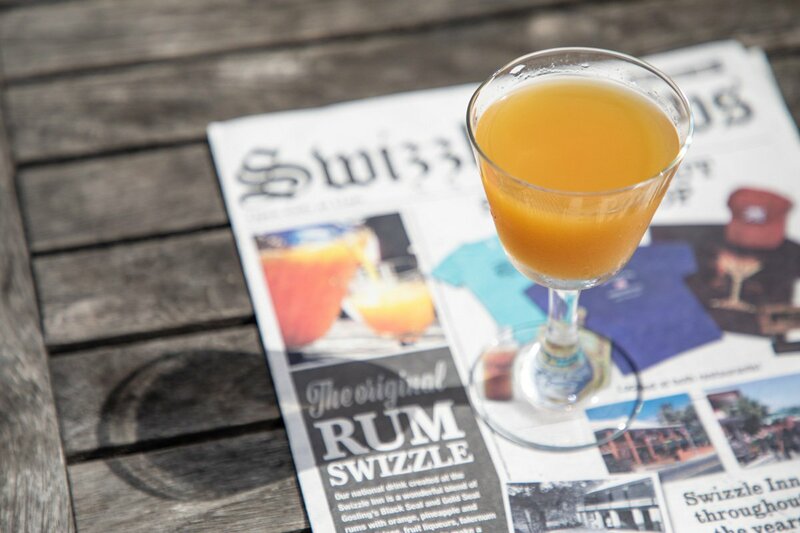 The Swizzle Inn in Bailey's Bay claims to have invented the drink in 1932, but this is up for debate, as rums and fruit juices are a long-beloved concoction. The unofficial second national drink of Bermuda combines Gosling's Black Seal Rum and Barritt’s ginger beer. At Yours Truly, a straight-out-of-New-York speakeasy cocktail bar, the menu changes regularly, but often makes theirs with homemade ginger beer, using super-sharp fresh ginger. If you asked for a Gosling's Gold, you’re drinking a Gold ‘n’ Stormy, and it’s especially refreshing at the Fairmont Southampton pool bar after a walk on the beach. The craft beer scene is relatively new in Bermuda, especially when compared to the longstanding rum tradition. 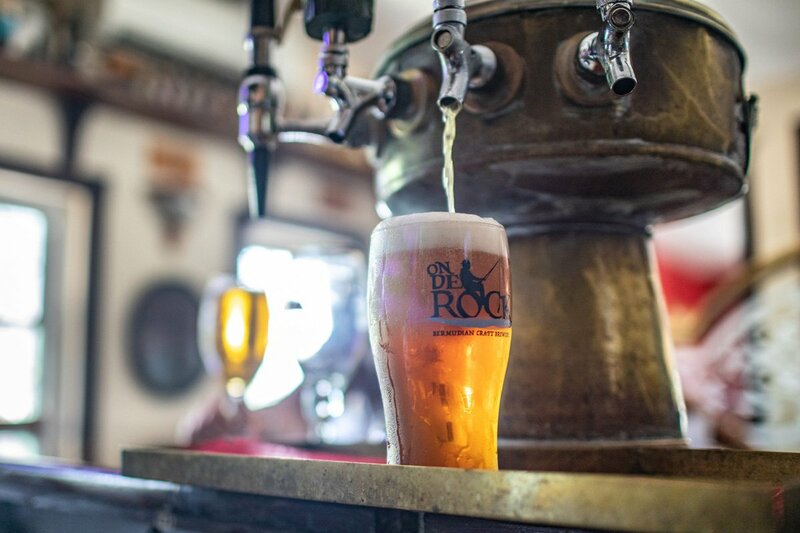 But beloved local brewer On De Rock is making up for lost time, with more than a dozen beers on offer — lagers, blondes, IPAs, you name it — at pubs all over the island. The other local craft beer company, Dockyard Brewing Co., is the thing to order at Frog & Onion Pub after visiting the excellent National Museum of Bermuda in the Royal Navy Dockyard. 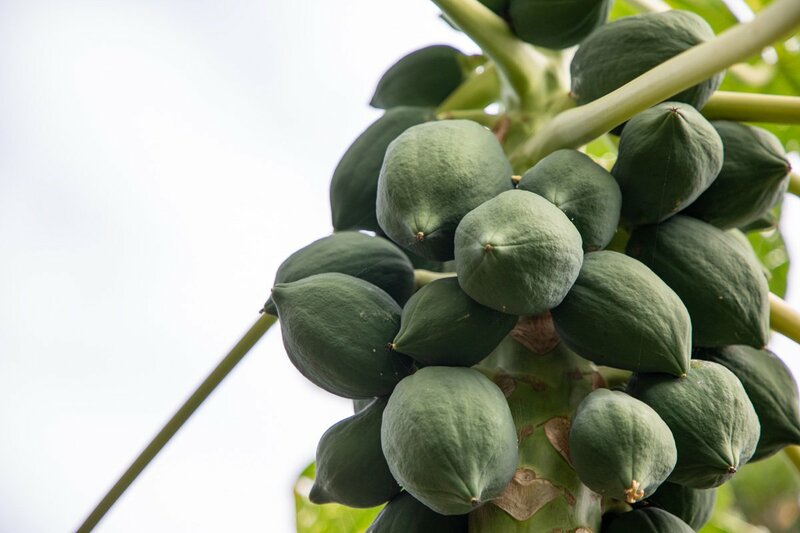 The freshest treats grow right on trees throughout the island and are a quick pick away. Surinam cherries taste a lot like mangoes, and are often used in cocktails. (Eat them when they’re bright red.) Natal plums and loquats are other great fruits to look for along the Railway Trail around the island. Rum cake, in all its variations, is ubiquitous, and you can find Bailey’s Bay Ice Cream throughout Bermuda. But the best place to sample their homemade flavors (ginger, rum raisin, coconut…) is at their pistachio-colored parlor in Hamilton Parish. 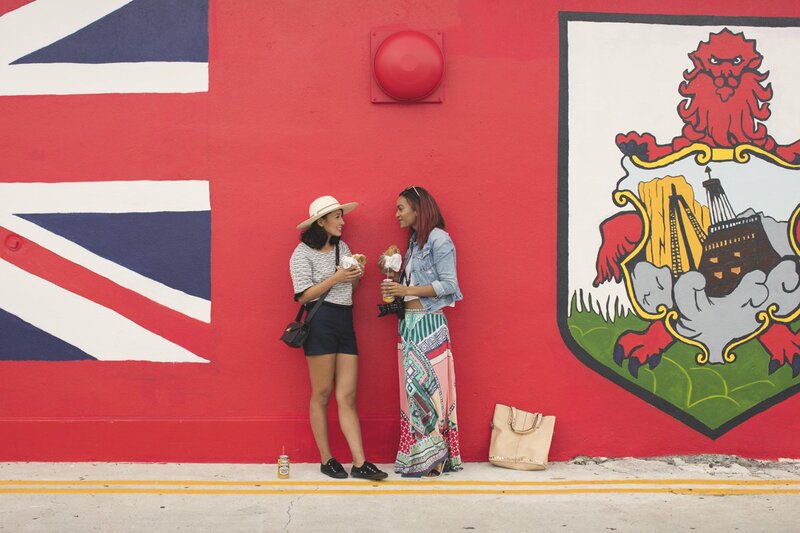 Discover the top 15 reasons to go to Bermuda for the holidays, find out which Bermuda is right for you, then book your trip and go.